To celebrate Halloween in Dubai my artist friend Jehan Abdulkarim has mocked up another beautiful piece of art after her Eid piece last week. See if you can spot the landmarks in the background! Witches can often be seen flying above the skies of Dubai at the end of October! Thank you Jehan for this Halloween fun! 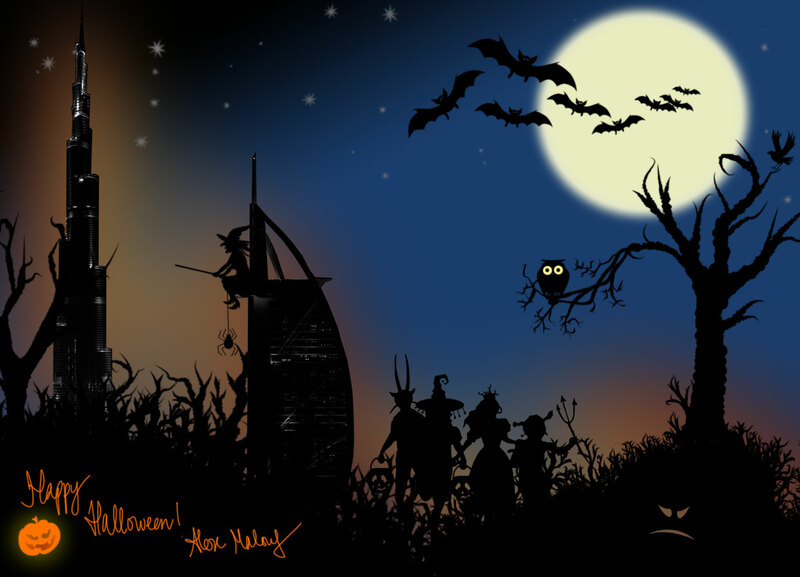 This entry was posted in United Arab Emirates and tagged artist, artwork, Dubai, Halloween, Jehan Abdulkarim by alexofarabia. Bookmark the permalink.